During your charter in Cannes is possible to travel to a few of the most remote and lovely places on earth on somebody else’s dime. The Cannes super yacht charter gives spectacular points of view of the Cote-D’Azur. The port is currently known as a chief yachting destination. This region is one of the most opulent regions of Europe in addition to the world. Cannes and glamour go hand-in-hand for the coveted film festival held by the name of this Mediterranean French city itself in May every year, since 1946. A flourishing city of 74,000 beating hearts and bustling minds, Cannes is world-renowned for its yacht party’s coastal couture. 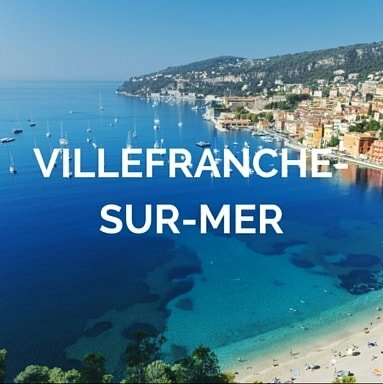 It boasts a contagious atmosphere around the year for being the nucleus of frequent cruising trips encompassing the French Riviera. 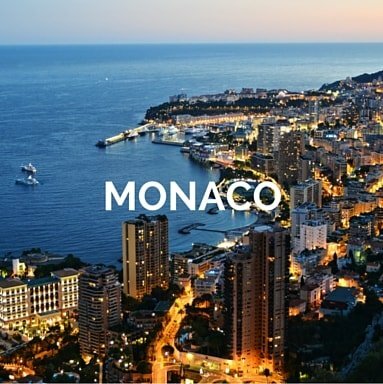 Well-known for its long association with the rich and famous, this city is host to several other congregations and festivities like the Cannes Lions International Festival of Creativity, Midem, and others. The Mediterranean climate with 11 hours of sunshine every day in the summers and mild winters make it the must-go destination for globetrotters and revellers alike. 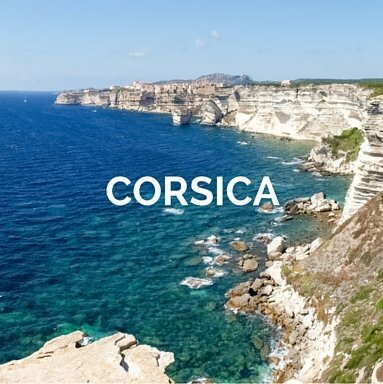 During your Cannes boat rental you might have different places you would like to visit in French Riviera, Liguria (Italy Yacht Charter), Corsica or even more wonderful spots. Our highly qualified luxury yacht cruises in French Riviera offer you a means to travel and relish the convenience and privacy provided with a private yacht. With our extensive knowledge in the luxury sailing and motor boat rental in Cannes, we ensure you the most appropriate, professional and competent support you deserve. Few and simple steps to let us find you the perfect yacht and the route for your Cannes super yacht charter, with all the extras you wish. Select the type of vessel(s) you are thinking about, the period and the area(s) you would like to discover. Or just tell us the type of cruise that better accommodate you and your guests. The most desirable yachts in Cote d’Azur are only available on Your Boat Holiday. Are you interested in rent mega yacht in Cannes? You are in the right place! 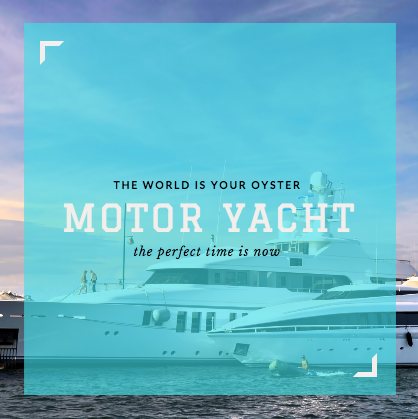 Our experienced and world travellers, professional Charter Managers check yachts and crews, cruise aboard our selected yachts regularly and are completely placed to offer you transparent, tailor and professional services. Our twenty years of experience in sailing and motor yacht charters, developed in France and the West Mediterranean, enabled us to create close, enduring relationships with our clients and recommended partners, investing directly in our yachts and services. A visit to this spectacular city is incomplete without sailing around Cannes and a cruise trip to the French Riviera. You can plan your sojourn with a variety of vessels like the catamarans, sailboats or motorboats depending on your flock size and itinerary. You also have the choice to opt for crewed, skippered or bareboat services. 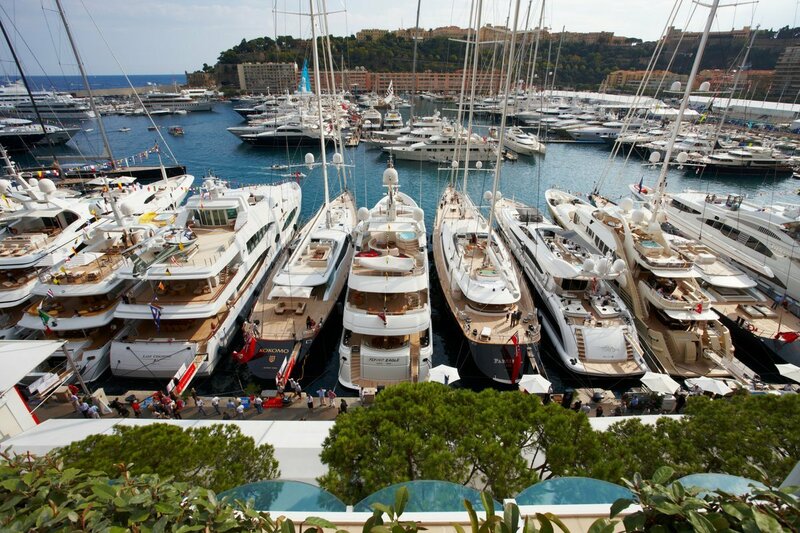 Hence, take your pick for the right vessel and set sail to witness Mediterranean magnificence en personne. Sail or Motor Yacht for your Cannes Boat Rental? Most Cannes yacht charter include fully trained crew which is going to be in a position to secure you where you wish to go, and several also incorporate a chef who will have the ability to cook both local and worldwide food for you. If you opt for a bareboat charter, you will need to hold the nautical license to manage the yacht. 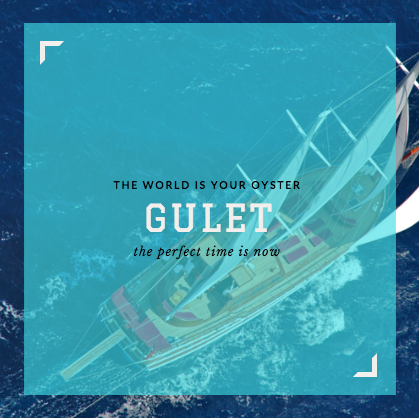 Join with us your Cannes super yacht charter experience, choosing selected boats, skippered by professional skippers, hostess, chef and crew to sail in French Riviera: rent sail boat, catamaran, motor boat, gulet or rent mega yacht in Cannes. The choice of where to charter a boat is based on a handful of factors: your sailing skills, experience, wether you prefer to relax and sunbath on the yacht and take relaxed days trips or are you the adventurous type who enjoys being active while on vacation and thinks every day is a great day for a new adventure! Have a look at our most selected Cannes Yacht Charter sailing destinations. Embark aboard our magnificent luxury motor yachts in Port Pierre Canto: from the instant you step on the yacht, there is going to be an expert crew to serve you. Enjoy the exquisite welcome aperitif, prepared by our Chef and admire the landscapes and the crystal clear waters. We usually recommend our repetitive guest to reserve lunch at Club 55 (Ramatuelle), then cruise in most striking spots of South of France. A yacht charter is the best approach to observe the French Riviera. 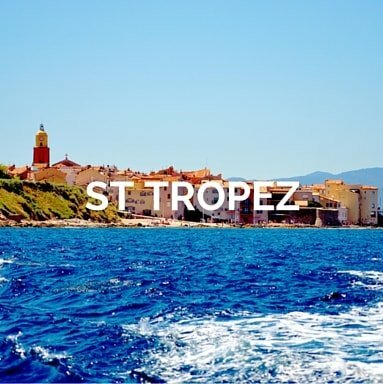 Below two sample itineraries for your cruise in Cote d’Azur. 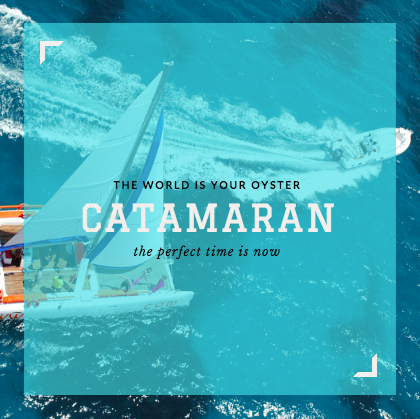 Catamarans are the dual-hulled yachts that give you an uninterrupted sail in the occasionally turbulent and rocky shores of the Mediterranean. Cruising in Cannes cannot be more lavish than yachting on crewed catamarans for their broad deck sizes and high shafts, giving your sails a picturesque beauty. For the wandering soul in search for splendour, a crewed sail on these high-stability vessels is the best bet. From hosting cruise parties to having exquisite solitary sails with your beloved/s, a crewed catamaran brings you the best of services. From experienced captains to seasoned chefs and a host of crew members, this vessel comprises unmatched extravaganza. Besides, catamarans are also a treat to those looking for a thrill, adventure and experience in sailing through the Mediterranean Sea. If you are one such cruising enthusiast, we suggest you go for a bareboat catamaran to explore nearby ports and docks on your own. All you need is a sailing licence to get our bareboat services. We offer a fleet of catamarans to choose from. Simple to lavish dual-hulled models having bridge deck or open deck cruisers; the options are spoiling. You can also choose from the different sizes available as you want. Besides, you get to pick any option at the budget packages we offer. So, get set to charter with your lot sailing around Cannes. If you are planning a week-long trip with halts at multiple docks, a large motorboat can be the best bet forward. Better yet, go for a crewed motorboat with all the itineraries set. 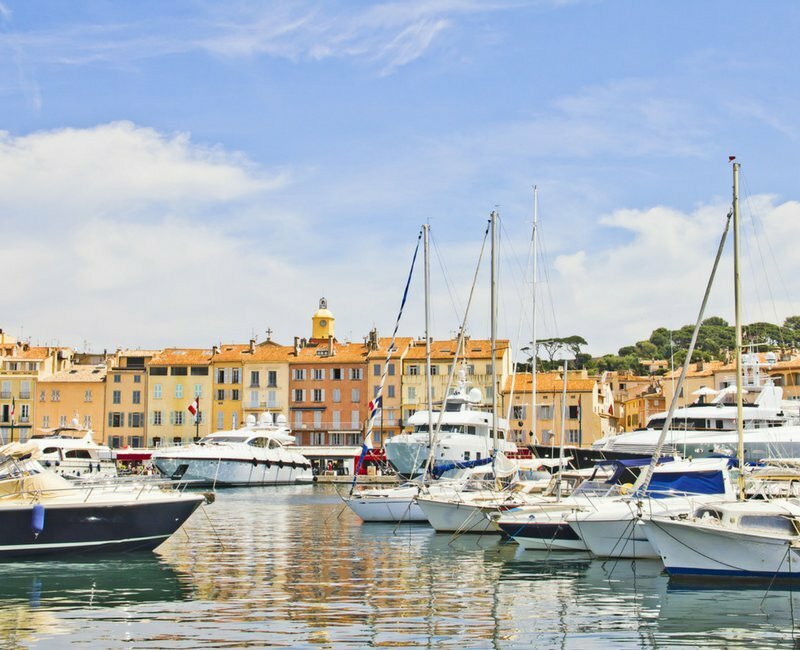 Bask in the Mediterranean sun at Antibes, Nice or Monaco while cruising in Cannes. Sailing can be fun with the right company and delectable cuisine. Opting for our crewed motor cruises will give you all the intriguing and enchanting experiences in one package. Get the best of French Riviera cruising experience with our crewed motorboats. Our skippers come with years of sailing experience in Mediterranean waters, making us one of the safest service providers for sailing around Cannes. Sailboats are at the pinnacle of a maritime adventure. Meant for those who want to feel the incessantly calm turbulence of the seas through their senses, a sailboat is an essence to be experienced. When it comes to manifesting your cruising dream, a sailboat comes to rescue. Its association with luxury has been a part of cruising heritage since sailboats were introduced into commercial voyaging. Recognised for their long and wide pristine masts, these can give you your once-in-a-lifetime maritime tête-à-tête when you get behind the wheels and cut through the blowing wind and cascading waves. Our bareboat sailboat services are for a first-hand luxurious sailing experience. Take control of the ocean and enjoy complete privacy when sailing on a bareboat sailboat. However, if you are looking for a tad more laid-back sailing around Cannes, opt for our skippered sailboat services. You will be accompanied by a veteran skipper who sails you through the French Riviera. Sailboats come across numerous designs, most of which you are sure to find in our galleria of offerings. Our sailing aficionados will help you with just the right design understanding what you expect and what you need. You can pre-empt between skippered or bareboat sailing, whether you want a set of helping hands or you would simply prefer the privacy on deck or under it. You will find lavish open dining and relaxing decks for your voyaging lot. So, you can get the ultimate maritime experience with them. Ile Sainte-Marguerite is the largest of Lerins islands at just 15 minutes from Port de Cannes. It is known for the famous walking trails through the forest. The place is a spirituous blend of history, culture and nature. A trip to this island is incomplete without a visit to Fort Royal, known for the 7th-century prison fortress made by the Spanish invaders. It stands as a symbol of the island’s historic significance with the famed ‘man in the Iron Mask’ fable. Intentionally stumble on the passionate French life at Juan Les Pins. 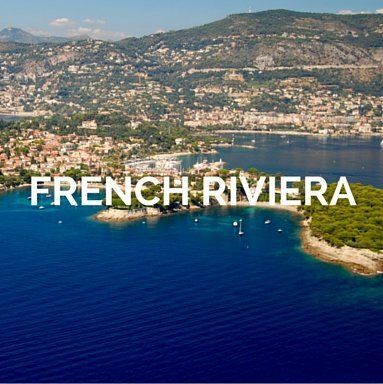 A 30-minute cruise from Cannes, this epitome of the French Riviera will give you a taste of the scrumptious French cuisine at its subtly sylvan form along with golden sandy beaches to unwind. A perfect beach holiday is what you get when sailing around Cannes. 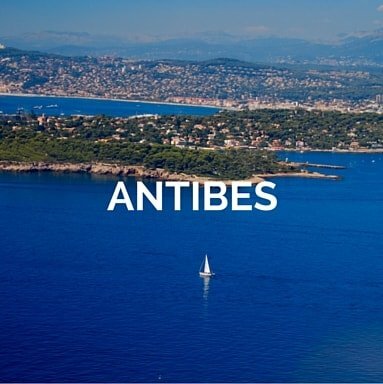 You can take a day’s halt at Antibes, just around the bay from Juan Les Pins. The town has a bustling port along with the renowned Picasso museum plus a cocktail of bars and restaurants. Troops of carnival dancers and coconut cocktails served here are just an appetiser to its bustling nightlife. Spend the day by its beach to get a panoramic view of the turquoise water simmering against the golden sun. 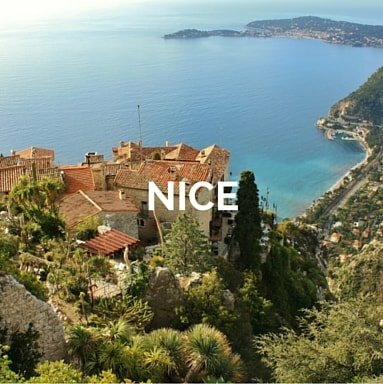 Originally called Nakaia, Nice is a delightful place with an environment true to its name. It is an hour or twos cruise away from Antibes harbour and the perfect place to becalm back. 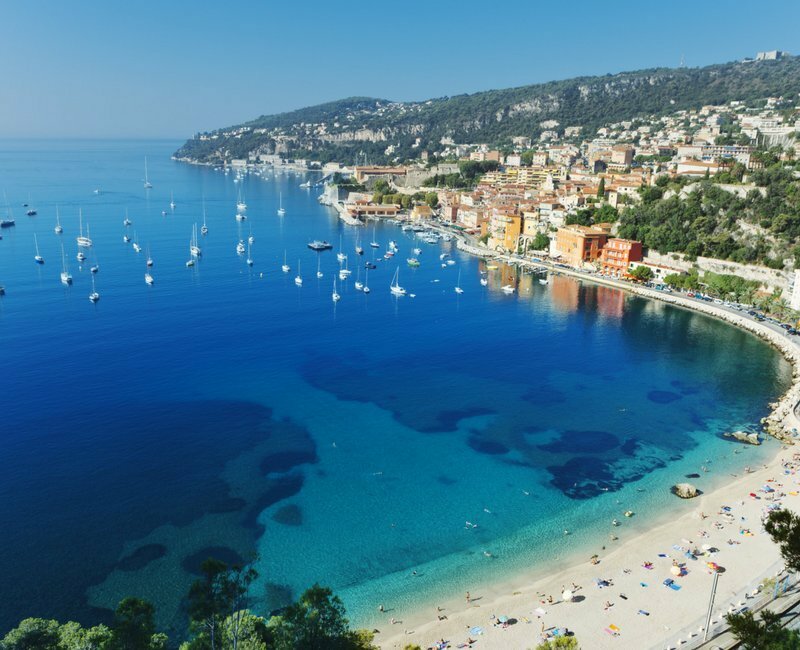 Rich with historical significances and mesmerising sparkly beaches, get sun-soaked on the Beau Rivage or go to Villefranche-Sur-Mer for a swim in its tranquil waters. Take yourself back in time in the Baroque-era Palais Lascaris or the Russian Orthodox Church, dating back to the 19th century. Besides, the town is also home to some of the French Culinary delights like la daube nicoise and crispy socca chickpea pancake. 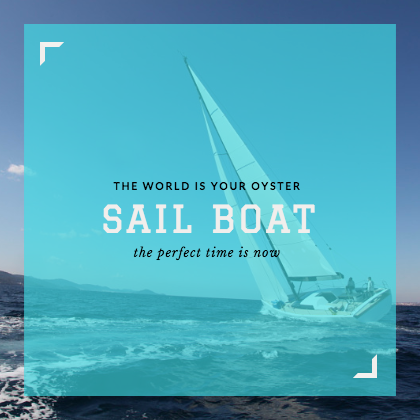 So, don’t wait further to plan a Mediterranean cruising in Cannes with the best of crewed and skippered vessels from us. Get set for a heavenly sail henceforth. What activities are you planning for your Cannes super yacht charter? When planning a boat charter in Cannes there are specific things which you ought to know prior to making any choice. We take care of you, from the selection of the yacht to the post-charter, providing you all the solutions for your activities on board and on land: family holidays, celebrations, film festival, moorings and dock for the F1 Gran Prix, party aboard, corporate events and more. We customise your Cannes super yacht charter, step by step, to ensure you the excellent yacht rental French Riviera you deserve.